Have you been searching for the perfect engagement ring with no luck? Sure, there are dozens of options featuring yellow gold and diamonds, but maybe they just aren’t crying out to you. You’re looking for something that matches both the style and personality of your bride to be. 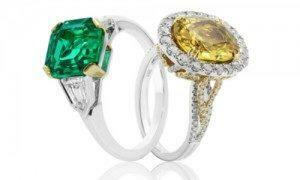 Precious gemstones can be used to create custom jewelry in D.C. for your loved one! 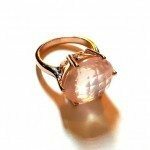 These unusual stones can give your engagement ring a completely unique look, or can be used to mimic the look of diamonds at a more affordable price point. There are a number of unique gemstones that give off a range of interesting colors. Opal and mother of pearl are both good examples of stones that take on many diverse looks. They can also be cut and shaped to fit nearly any design. 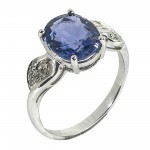 Sapphires make a particularly great choice for custom engagement rings because they come in so many different looks. You can find deep, dark sapphires, but you can also find very pale sapphires. 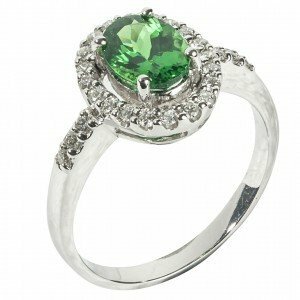 In addition to the range of colors, many gemstones have been given special meanings. For instance, the sapphire is attributed with mental clarity and inspiration. As you are designing custom engagement rings in D.C. you can choose stones that represent important aspects of your relationship. Quartz may get a bad rap, but it actually has many unique properties that make it a natural choice for engagement rings. Quartz comes in many unusual colors that can’t be found elsewhere. Pale yellows and pinks are among the most popular options. While we have long depended on sparkling white diamonds as the standard of love, there are some beautiful colored diamond alternatives available. Both black and chocolate diamonds have become incredibly popular, offering a twist on the old favorite. These are just five of the ways that you can create a custom ring that suits your relationship perfectly using alternative stones. To learn more, contact Dominion Jewelers today to schedule a consultation.